The Recline 500SP Exercise Bike is very similar to Recline 500 Bike and offers moderate cardio workouts, that is suitable for adults with back pain. 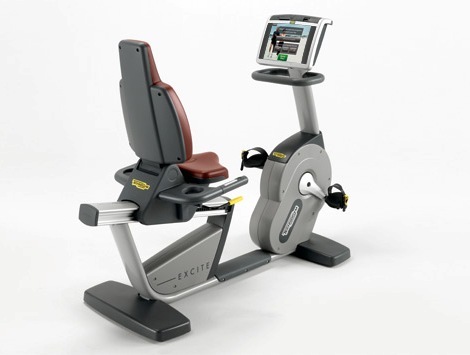 The Recline 500SP Exercise Bike operates with the Self Powered Cordless system and has maximum resistance from 40-500. This exercise bike is also loaded with many other advanced features like total accessibility, versatility and comfort, wider pedals with adjustable straps to provide better stability and support. Its ergonomic handlebar facilitates climbing on/off from machine while its advanced hand sensors helps to know about the intensity of your pulses, displayed on the LED screen. Recline 500SP Exercise Bike also supports 4 positions of adjustable back rest for a comfortable workout.